I have done several charity challenges over the years but I haven’t done one for a while and I think that’s because I like to do something that is a little bit different or has an angle to it that is interesting. I took part in Cancer Research UK’s Race for Life several times and while I think it’s a great event, so many people take part now that it’s very difficult to differentiate yourself to get sponsorship (when the local one is on, you can guarantee to know at least 5 women who are taking part). The last time I did that I built my sponsorship proposition around the fact that I was heavily pregnant at the time and ‘sold’ my baby (well, I offered my clients ad space on my very large baby bump in return for sponsorship!). After that I did a Midnight Walk for Wakefield Hospice as that was a new type of event at the time and my race number was 2 so I simply asked everyone to sponsor me £2 because anyone can spare £2 can’t they! I then did the Swim for All outdoor swim which was just a really big challenge for me, and involved the humiliation of wearing a wet suit. All of these were really successful events in terms of what I raised because I found an angle in all of them to create a point of interest. That’s what marketing is all about really isn’t it, finding that ‘thing’ that makes you different, that others aren’t doing or that makes people think about what you do in a different way. After being uninspired by charity events over the last few years I have finally come up with a challenge that I think is a little bit different, and it’s purely motivated by selfish reasons! 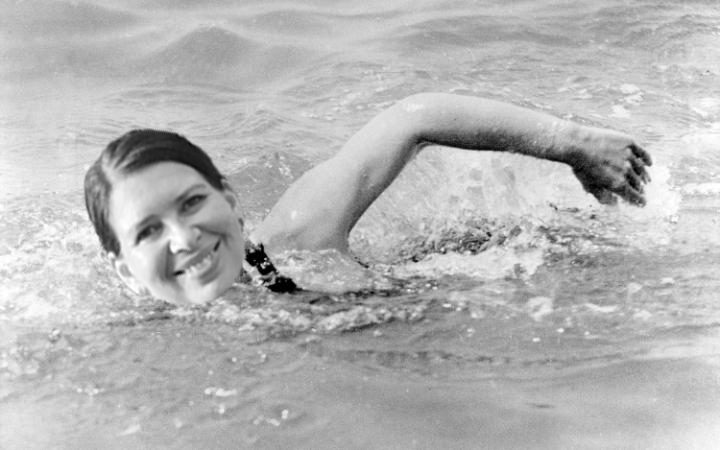 I have decided to swim the Channel. Except not all in one go. And not actually in the Channel. Having just joined a health club, and with a long track record of lapsed gym membership in my wake, I need something that will keep me motivated and there’s nothing like some public accountability to do that. 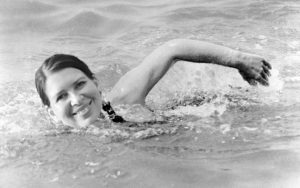 I will therefore swim the equivalent distance of the English Channel (21 miles) over the next couple of months and I will raise money for a charity that I care about – War Child. I bet Walliams had wished he’d thought of that – so much more civilised than coating yourself in goose fat and jumping into the sea! I’m now about 2.5 miles into the challenge so still a fair way to go but so far so good and at the time of writing I have secured £157 in sponsorship. I am reporting my progress on Facebook and Twitter as well as on my fundraising page so if you are interested, please keep an eye on those. This theory applies equally well to business. You don’t necessarily need to spend the most money on your marketing to get the most attention – just do it in a way that inspires, engages or gets noticed in among all the white noise that your competitors are putting out there. You can donate to War Child on my fundraising page here. For a tongue in cheek view on my progress you can check out my personal blog, Perfume & Trumps.